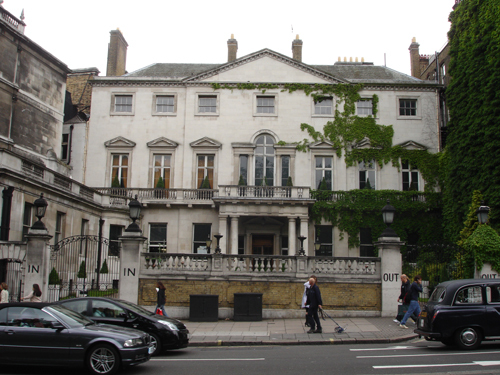 The Naval & Military Club acquired it after Lord Palmerston’s death in 1865 and retained ownership until 1996. The club came to be known as the ‘In and Out’ on account of the prominent signs on the gate piers. It has since moved to another building that I have also investigated 4 St James’s Square. I was commissioned to make a series of proposals for an analysis of the painted surfaces. The house and neighbouring buildings has recently been bought by the Reuben brothers.